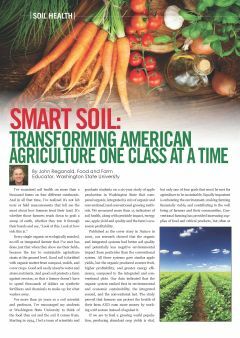 I've examined soil health on more than a thousand farms on four different continents. And in all that time, I've realized it's not lab tests or field measurements that tell me the most about how farmers treat their land. It's whether those farmers reach down to grab a scoop of earth, whether they run it through their hands and say, "Look at this. Look at how rich this is." County Fairs have been a feature of the agricultural landscape of rural America for most of its history. The tradition of local gatherings for the purposes of socialization, exhibition, and competition has remained largely intact since its inception. Those first county fairs with their livestock judging, plowing competitions, and displays of agricultural machinery are mirrored in nearly every Midwestern county by their modern counter parts of tractor pulls, 4-H livestock shows, and the rows of glistening new implements lined up on the grounds by local dealerships. Farm equipment and farmland auctions have been gaining popularity over the last decade for both buying and selling. 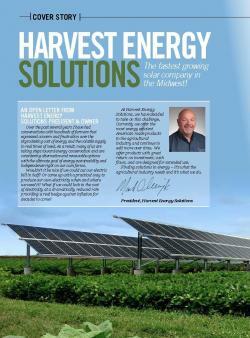 Today we will introduce you to Michael Wegener Implements and Cornlea Iron Auctions in Cornlea, Nebraska. 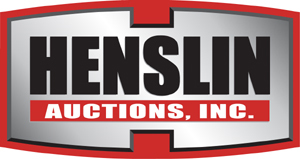 With over 58 years of experience, Michael Wegener and his team have a unique buy-sell and trade operation that capitalizes on in-person and internet-bidding. 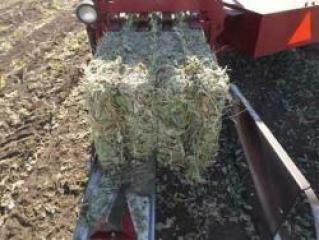 Courtland Waste Handling is your full service liquid manure handling sales and service center. Our sales staff offers a full line of new and used liquid manure handling equipment, from Houle – GEA Farm Technologies, Calumet, and Bazooka Farmstar, to meet all your needs from the barn to the field. The service center has the knowledge, equipment, and an extensive inventory of parts to get your items ready or repaired for the season. If you currently use liquid manure or have an interest in incorporating it into your fields and pastures in the future give Courtland Waste Handling a call and let us show you how we can make your current or future operation more efficient. If you thought "tire" automatically meant "rubber", a revolutionary plastic tire for pivot irrigation systems will likely change your mind. RhinoGator® is a new generation of rugged industrial-quality, high-density plastic tire designed specifically for the daily rigors, weight and environmental conditions that are common under pivots. Its distinctive green color is just a hint at the differences that make RhinoGator stand out. 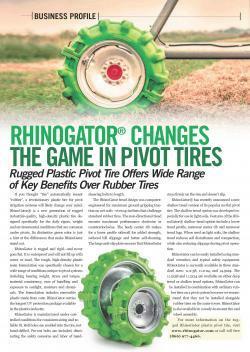 RhinoGator is rugged and rigid—and never goes flat. It is waterproof and will not fill up with water or mud. WASHINGTON, May 1, 2014 – Agriculture Secretary Tom Vilsack today announced the availability of funding to promote long-term economic growth and community vitality in rural areas. 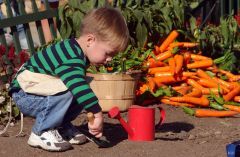 With the announcement, the U.S. Department of Agriculture (USDA) invites applications for funding through three community and economic development programs administered by USDA Rural Development. When soybean was popularized in the U.S. in the 1800s, farmers eagerly embraced the legume from East Asia as a forage crop. 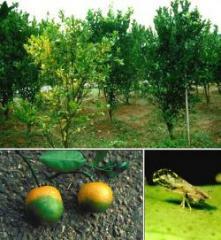 Today, it is more commonly grown as an oilseed crop rotated with corn throughout the Farm Belt.